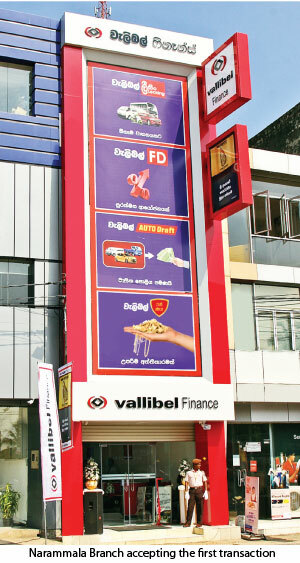 The bustling city of Narammala at present has Sri Lanka’s most respected finance company – Vallibel Finance, right in its town - center. Vallibel Finance unveiled its renowned brand of financial services from No. 93, Kurunegala Road, Narammala, amidst a distinguished gathering that welcomed a pledge to steer the city to the cutting-edge. Vast stretchers of Paddy fields across Narammala not only lends it beauty, but also form the backbone of its economy. However, Narammala’s agri-based economy has today, evolved into a multi-faceted economy, boasting industry and craft, as well as professional careers as the locality absorbs modern-day advances. We are here with a pledge to fulfill the diverse financial expectations of Narammala, as the city stands poised to embrace a new era of progress, said Jayantha Rangamuwa, Managing Director of Vallibel Finance, addressing a large gathering of well-wishers at the ceremonial opening. Driving home reasons that propelled Vallibel Finance to the pinnacle of success as one of the country’s respected finance companies, he said that just as it practices in its island-wide branch network, Narammala’s financial solutions would be home-grown, leveraging on the needs of its people and complexities of the locality. The Company not just invests heavily in state-of-the-art infrastructure, but has cultivated a team of financial professionals specifically trained to adapt to the expectations and challenges unique to each locality Vallibel Finance enters into. 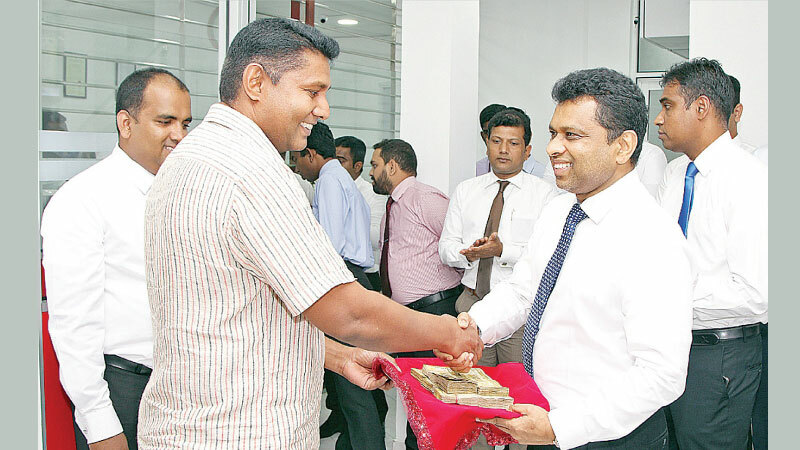 “We always create financial solutions made to fit the people we serve in their own unique localities, Rangamuwa said. Increasingly popular wherever it goes as the name-bearer of one of Sri Lanka’s most respected conglomerates, Vallibel Finance has revolutionized the role of a finance company with breakthrough products of the likes of Auto Draft, bringing financial support with the kind of speed and ease never witnessed before. Alongside people-friendly technical innovations, the Company prides in its ability to feel the pulse of the people, understanding that needs and challenges are so intricate, that each new locality offers a unique proposition that calls for authentically home-grown solutions. Vallibel Finance deals primarily in Leasing, Gold Loans, Fixed Deposits, Group Personal Loans, Mortgage Loans, Education Loans, Auto Drafts and Microfinance products, deployed via a cutting-edge technological framework. LMD named Vallibel Finance PLC, the “Most respected finance company in Sri Lanka (2017). “Most admired companies in Sri Lanka by the International Chamber of Commerce (ICC) in 2018, for its notable performance and growth.